At some point, every business makes needless expenditures that sap valuable time and resources from other projects, and damage the bottom line. 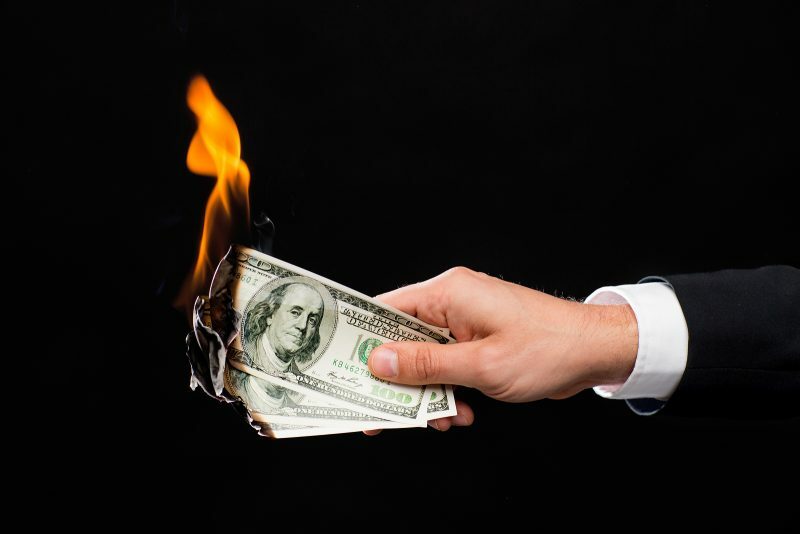 These excessive costs—which also detract from funding new customer acquisitions or product upgrades—often perpetuate themselves, making it very difficult to pull the plug farther down the road. Improve the process of tracking expenditures. Businesses that fail to monitor spending often later find areas of waste and overspending that could have been avoided. With a plethora of cloud-based expense tracking apps to choose from, there are plenty of opportunities to strengthen existing processes and eliminate areas of excess spending as soon as possible. Crack down on paper costs. If your business still spends money on paper products, it’s well past time to shift to digital technology. Virtually overnight, you can cut printing and storage costs dramatically. Scan important documents and email them to clients and suppliers, rather than incurring costs related to personal deliveries. Eliminate unproductive meetings. Most businesses are susceptible to meetings “that waste everyone’s time and lack any viable ROI.” Think of the money you can save by holding only productive, actionable meetings. This frees up your team to engage in other, more focused (and often revenue-generating) activities. Analyze the purpose behind every business trip. Back in the day, it was considered necessary to travel throughout nationally or internationally in order to maintain solid working relationships with clients. While this remains true to some extent, in fact, many businesses no longer feel compelled to show up in person at every industry conference, trade show or overnight client presentation. Digital and video technology make steady contact easier than ever—often at a fraction of the cost. Hone your negotiating skills. For all the needs of your workplace—from leased office space to purchasing supplies and equipment—it’s vital you get the most for your money. If your negotiating skills aren’t up to par, it’s possible you’re paying more to vendors for their products and services than is absolutely necessary. Outsourcing IT functions isn’t the perfect choice for every organization, but it’s a flexible, cost-effective option worth considering. Encourage submission of cost-saving ideas from your employees. When leadership makes clear how important it is to reduce unnecessary spending—in order to continue making a profit and paying the workforce—employees feel incentivized to look for cost-cutting measures on their own. With your encouragement, they may come up with creative suggestions to consolidate current expenditures and other money-saving ideas well worth implementing. It’s up to you to communicate this organization-wide priority and reward the best cost-saving suggestions.